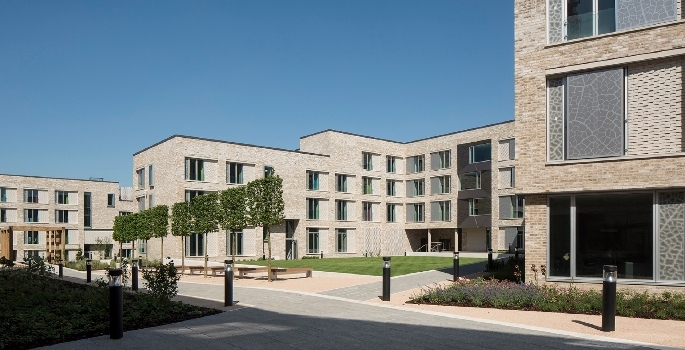 Swirles Court, a development of 325 en-suite rooms, purpose built for students, has been completed at the North West Cambridge Development of Eddington. Leased to Girton College, this is the first completion of many scheduled for 2017 at the new community. The scheme has been designed by award-winning architects practice, R H Partnership (RHP). 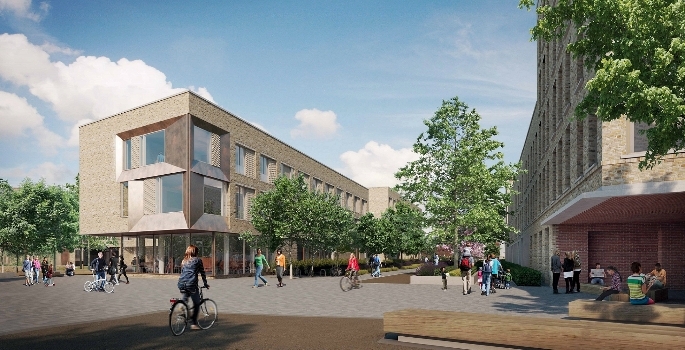 With a total construction value of £26 million, Swirles Court sits at the heart of Eddington, a 150-hectare site which will comprise 3,000 homes (private for sale and for rent to University and college key workers), 2,000 student rooms, 100,000 square metres of research facilities, a community centre, shops and a primary school. 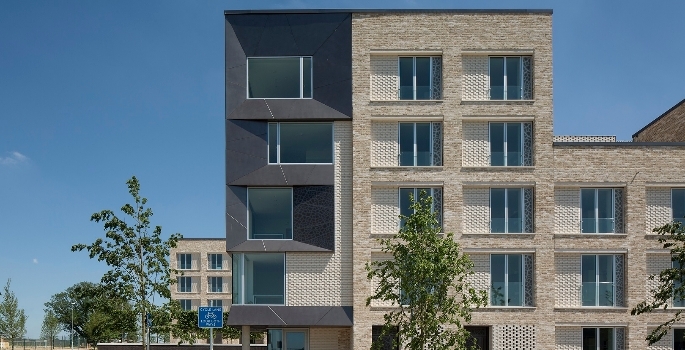 Girton is the first Cambridge College to establish a base in Eddington, offering state-of-the art facilities to its growing graduate community.